Whether you’re looking for a great spot to canoe and kayak, love to texplore caves or climb rocks, or just want to enjoy the bounty of nature at a local winery- there is something in our “Driftless Area” perfect for everyone. 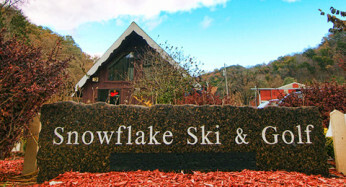 Just a couple of miles from us is the Snowflake Golf & Ski Club, featuring a scenic par 3 golf course, ski jumps and a sweet trout stream along its boundary. Norskedalen is a historic nature and heritage center. 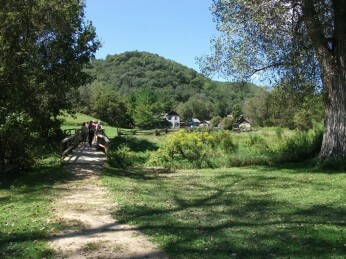 It offers a wide range of experiences form hiking, historic reenactments, family friendly activities and a beautiful outdoor site for weddings. Wildcat Mountain State Park features horseback riding, hiking paths with spectacular views and canoeing and kayaking on the Kickapoo River. If you like to motorcycle ride or auto tour, the Driftless area offers countless winding roads, all paved, through country sides filled with trout streams and rugged cliffs and outcrops. Keith would be happy to take you on a tour of his favorite sights! There are also endless Antiques Stores and a very active Amish community selling their beautiful handcrafted items right from their homes. Local restaurants and wineries, like Branches Winery, offer quality food, drink and entertainment. Let us know where your interests lie and we will help you explore.